This lightweight modern farmhouse style bookstand features textured tin with white painted detailing for a perfect kitchen accent. 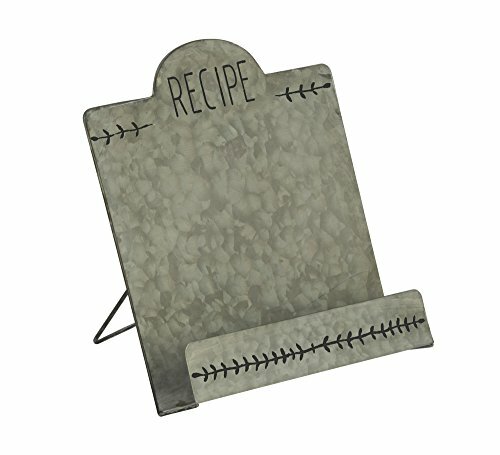 The cookbook display is on trend and offers a functional recipe stand that you don't have to keep hidden in a cabinet The Metal Recipe Book Stand is great for bookstores and gift shops to display recipe and cookbooks. The tin stand with white lettering offers a modern yet traditional display. This piece is a great item to sell for home use.